A good letting agent is a luxury that few can afford. It is true that a letting agent can make your property more saleable in the market and help you get a handsome amount for it but there are risks too. Before you go ahead with signing a deal with letting agent, adhere to basic principles and have everything in writing. In the UK letting out property is an alternate source of income for many residents. More so, because apartment for rent in London fetches really good income. To ensure the best price for your property it is inevitable to hire the best letting agent. If you are seeking professional help in the domain of Rentals, Letting agents help you take that leap of faith. Here is a quick brief on the significance of letting agents and precautions while choosing a good letting agent. Know what is a Letting and Agent and what do they exactly do? Their job is to find suitable tenants for a prospective property on behalf of the owner. The work of an agent is to visit and evaluate the property. Take all the details and upload it on the government sites related to rent or their own property websites. The agents then show the detail to the prospective clients and do regular follow up. Finding Apartments for rent in London is a time taking affair and letting agents help bridge this gap between landlords and tenants. They also show offers on different properties and they sign a ‘tenancy agreement’ during the process between both the parties. The agent can also negotiate about the rates of rents or extra furniture s too. All these can be done wither through phone and posts a physical presence is not always required. Most agents collect the rents on behalf of the landlord and renew the rental policies. They offer general maintenance and required repairing of the rented premises and that helps the tenant and landlords are relieved from dealing with plumber, electricians etc. They have to associate with any of the followings ARLA (Association of Regional Letting Agents), UKALA (U.K. Association of Accredited Letting Agents and NALS (National Approved Letting schemes). 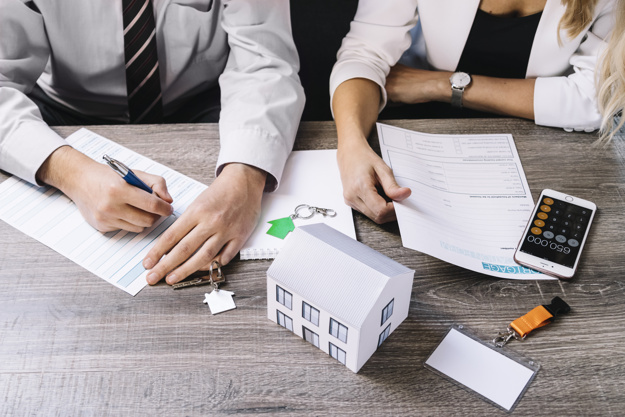 To be the member of these associations the agents has to adhere to minimum standards, that includes Client Money Protection (CMP) that ensures a scheme of covering any losses suffered by tenants. This helps in establishing their authenticity and the owner can be certain of their reliability. The Letting Agents may carry out the inspection during the tenancy period. The checking options as to when and in how many months. The period of rent is usually Eleven months or less and letting agents carry put inspection during this period. The letting agent should inform before 24 hours of inspection and the visit must be in an appropriate time. It is illegal for them to enter the premises without Tenant’s permission. There should be no charges of inspection. The agent acts as a mediator between the landlord and tenant and in case of grievance from either side; he butts in and settles the dispute. For that, a Tenant can complain directly to Letting Agent. However, if the desired result is not achieved within 8 Weeks one can contact the Agent’s Redress Scheme. They will investigate the matter. If the agent has no such redress system then it can be reported to the council which will further investigate into the matter. Lettings agents are both a necessity and a luxury in London keeping in view escalating cases of rental property disputes. It is not viable for the landlord to handle everything on his own and a route to letting agent is inevitable. It is hard to manage sometimes which calls for hiring an agent to manage your rental property. Keep these precautions in mind while hiring letting agents for your rental property. Feeling Embarrassed of Being Renter? Look, how you are better as a lessee?